Many small businesses believe that bank loans aren’t a viable financing option for them. However, there is a lesser known but well established option that is much more accessible — the microloan. Lending in small amounts to businesses that cannot qualify for a traditional bank loan is not a new idea. Modern microlending — also known as microfinance or microcredit — began with the Grameen Bank, founded in 1976 in India. Since microlending came to the United States in the late 1980s, small loans have become widely available from programs backed by the U.S Small Business Administration (SBA) as well as purely private programs. The U.S. Small Business Administration’s average “small business” loan was $417,316 (2016), while its average “microloan” was $13,884 (2017) Some lenders offer loans as small as $500. As is so often the case with starting a small business, however, availability doesn’t always translate smoothly into awareness or access: many small businesses need capital, but lots of small business starters don’t know about microloans. Others may assume they can’t qualify because of a poor credit history. Here’s how one community organization works to bridge the awareness and availability gap for small business starters that need funding. Create Birmingham is a nonprofit economic development agency focused exclusively on creative industries in Birmingham, Alabama. Their programs include a 9-week small business training curriculum offered by CO.STARTERS. After a survey of its CO.STARTERS graduates, Create Birmingham found that one of the biggest needs of these small business founders was funding to take the next step to grow their business, in 2017 Create Birmingham developed a microlending program as well as two grant funds for businesses that may not be ready for microloans. All three funding pools are part of a continuing spectrum of support for CO.STARTERS graduates. The Revolving Loan Program, created in partnership with the Welch Group Foundation and Venture South, a local community development financial institution, makes small traditional loans. Graduates of Create Birmingham’s CO.STARTERS program can apply for loans of up to $7,500. Loans from their program cannot be the sole source of capital for a new business. For CO.STARTERS graduates that may not be ready for a loan, the agency also operates two small funds, established through the Mike & Gillian Goodrich Foundation. Payments from these funds do not have to be repaid. The Advisor Fund offers $500–1,000 grants for business setup costs, such as legal, financial and branding expertise. The Marketplace Fund offers the same amount to cover marketing expenses, such as fees for popup events, market booths, and mobile retail. Annual grants to Create Birmingham established funding for these two grant pools, which have been funded at $10,000 for each program in 2017 and 2018. The agency plans to seek higher funding in 2019. Revolving loans are made from a $50,000 fund created by $25,000 from the Welch Group Foundation and matching funds from Venture South. The fund has been so successful that the Welch Group Foundation is giving an additional $75,000 to increase the loan pool. People apply for all three funding pools through Create Birmingham. Most microloan recipients apply to the two smaller funds first. The experience of a restaurant owner shows how the three funding programs work together. 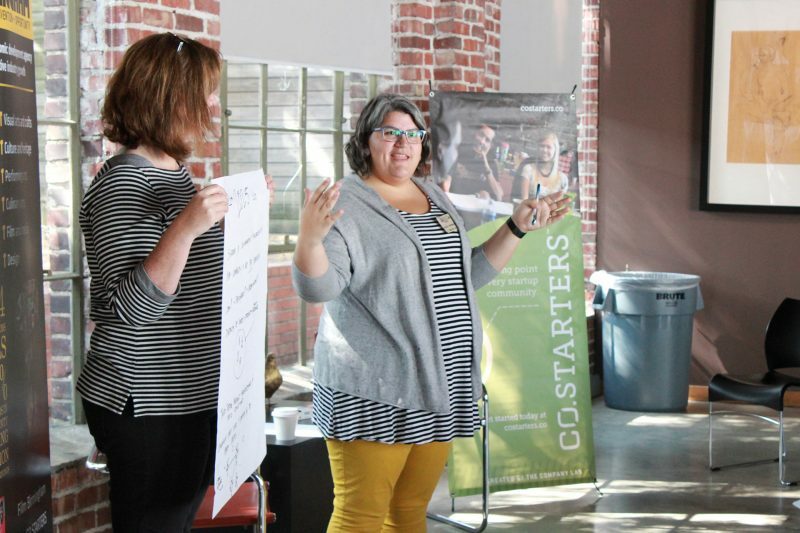 After graduating from Create Birmingham’s CO.STARTERS program, Andrea Foster wanted to apply for both smaller funds, but Jessica advised her to hold off on the Marketplace fund until she had completed the planning that would be supported by the Advisor Fund. She used the Advisor Fund for legal fees to create her business, then used the Marketplace Fund to help open her Preservery restaurant — described as “elevated soul food” — in REVeal Kitchen, a food stall / incubator operated by REV Birmingham, another economic development organization. Jessica also encouraged her to apply for the Revolving Loan. Jessica is quick to say that Create Birmingham is not entirely responsible for Andrea Foster’s success, but this starter’s experience clearly shows how small increments of funding at the right time can help leverage more substantial loans from other sources to help a business grow. Microloans can serve as an entry point for starters to establish or rebuild credit. They can provide gap funding to complete the overall funding for a small business launch. A yoga studio whose founder used the Advisor Fund initially and then later tapped the Revolving Loan Program to purchase inventory for a retail program. “Her credit was pretty low, but we vouched for her, and Venture South made the loan, which will help raise her credit score,” says Jessica. A retail boutique whose founder used the Revolving Loan Program to obtain working capital to purchase inventory for the holidays. A home-based bakery funded an expansion into a warehouse baking space using a loan from the Revolving Loan Program, together with prize money from winning a pitch competition and additional loans from Venture South. Venturize is a free online resource hub for small businesses owners. Managed by national nonprofit Small Business Majority, Venturize helps small businesses learn about small business lending and become loan-ready. Kiva is an international crowdfunded microlender that serves as an intermediary between low-income entrepreneurs and crowdfunded sources of capital. Lender Match is an nationwide online referral tool from the Small Business Administration (SBA) to connect small businesses with SBA-approved lenders, including those that make microloans. Accion is a nationwide, nonprofit lending network of community development financial institutions (CDFI) that make microloans. Community Organizations — Many local and regional nonprofits across the United States work with the U.S. Small Business Administration, community development financial institutions, and private banks to provide microloans within their community. Community lending organizations often serve more than one state — for example, Pathway Lending in Nashville serves Tennessee, Alabama and Kentucky — so a search for a local lender actually should be regional. Credit unions may also be a local source for microloans.